Unsurprisingly, God of War was the hottest ticket at retail in April, helping the PS4 dominate the charts. The NPD Group has published its report for April, highlighting the winners during a traditionally quiet month. Starting off with software, God of War was the month’s best-selling game. 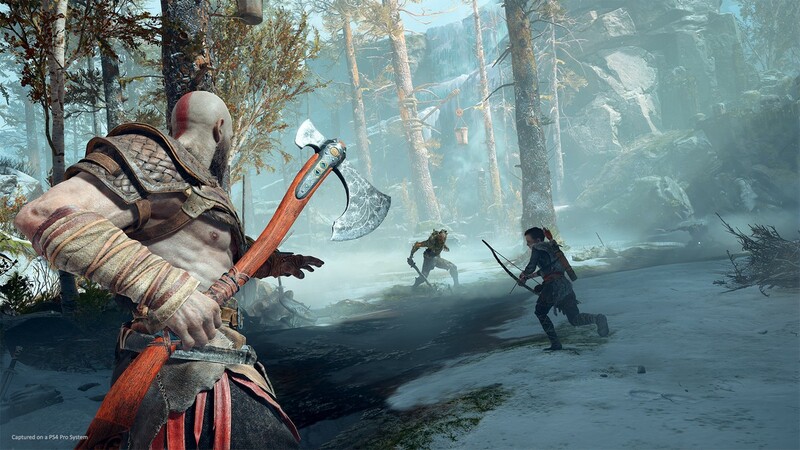 God of War had the highest ever launch month, in terms of dollar sales, for a PlayStation exclusive. Thanks to the game’s success, Sony was April’s top-selling publisher. MLB: The Show 18 landed the third spot on the charts for the second month in a row, and has impressively been 2018’s second best-selling exclusive after God of War. All of this pushed software dollar sales for PS4 to reach an all-time high in April, higher than any other platform since NPD started tracking the market in 1995. PS4 has now claimed the record from Xbox 360, which achieved it in April 2008. Outside of Sony’s games, Far Cry 5, which was the month’s second best-selling game in dollar sales, continues to be the best selling game overall this year. The game has generated a lot of money for publisher Ubisoft, which is still 2018’s top revenue generating publisher, year to date. The Nintendo Labo Variety Kit came in forth in dollar sales, but the Robot Kit charted much lower, at number 21, on the hardware charts. On the hardware end, PS4 lead April, further cementing its lead overall this year. In fact, PS4 sold more units than any other console in April in nine years, a record previously held by the Wii after setting it in April 2009. The PS4 Pro 1TB Limited Edition God of War bundle was April’s best-selling hardware item, in dollar sales, but the Nintendo Switch 32GB with Neon Red/Blue JoyCon was the highest in unit sales. The hardware segment saw a healthy 15% growth compared to a year ago. Even accessories saw a big jump in April, particularly for headsets, which grew by 89% during the month. This is likely a knock-on effect of the success of battle royale games, which reward communication. Overall spending during the month grew by 18% compared to April 2017, thanks to growth in all categories.